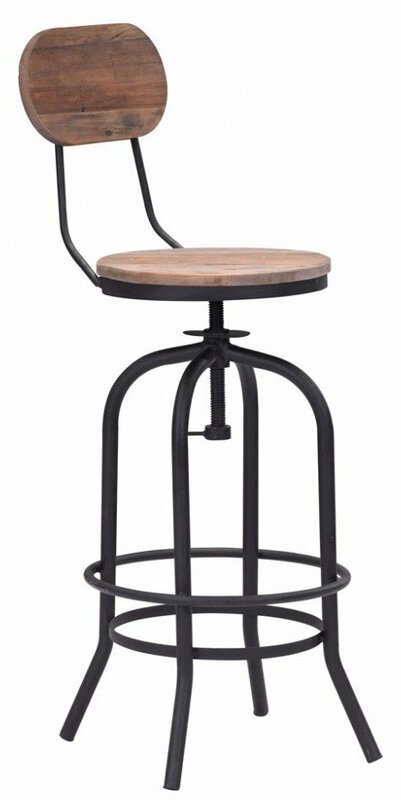 Twin Peaks bar chair echoes the rich majesty of the retro industrial style. 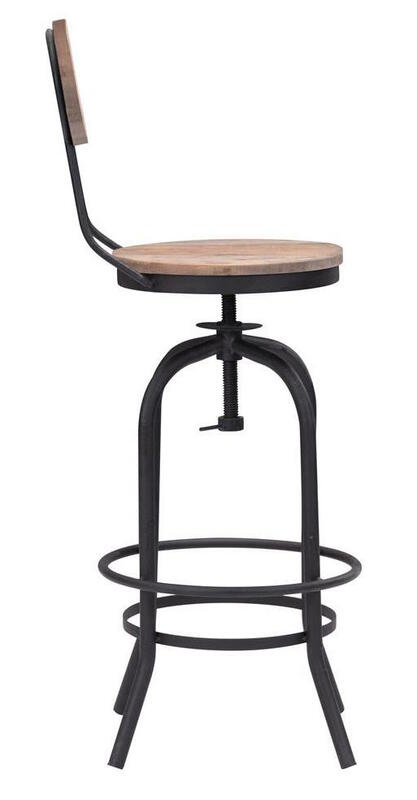 The seat height is adjustable from 28" to 35" with a solid Elmwood seat that swivels 360-degrees. The high back rest is designed for extra comfort. 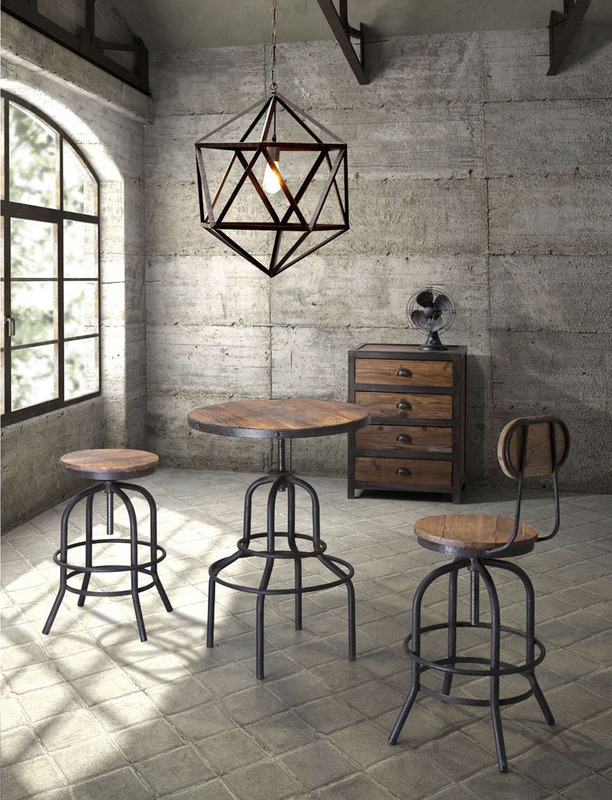 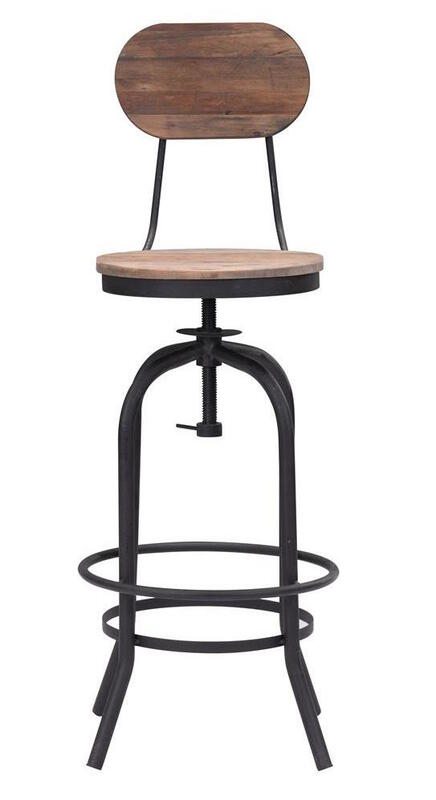 The Twin Peaks adjustable bar chair will definitely imprint unmistakable industrial chick style to your indoor space.